I probably overuse the phrase, "I'm addicted to this book/series." This series is no exception. The Godling Chronicles is a great read/listen. I found this series randomly as a recommendation on Audible based on other series that I've reviewed positively. One of the .5 mini books to this series was free. I started that book and quickly bought the rest of the series. I can barely sleep at night wanting to know what happens next. Right now I'm on Chapter 24 of book 6. 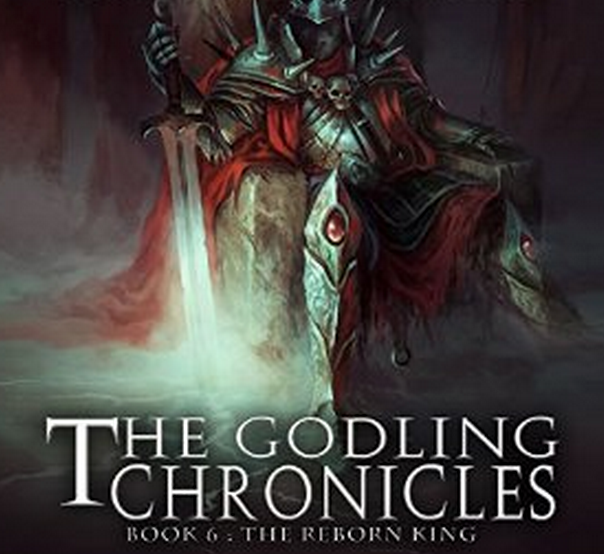 The Godling Chronicles has everything an epic fantasy novel or series needs: drama, love, hype, suspense, good verse evil, princes, knights, Gods, demi-Gods, Elves, random never-before-seen creatures, and a battle that will change the world. If you like books like the The Lord of the Rings, Discovery of Witches, Silver Dragons, Souless, The Iron Fey, Everneath, The Last Apprentice, The Secrets of the Immortal Nicholas Flamel, or The Parasol Protectorate you may like this series.